First, you can go live in the Hogwarts castle, and now, you can bring some Hogwarts into your bedroom with this “Harry Potter Hallows Side Light” (which’ll probably cost you a lot less than the hefty Hogwarts castle units, too, which is approximately $987,000 to $4.2 million USD). 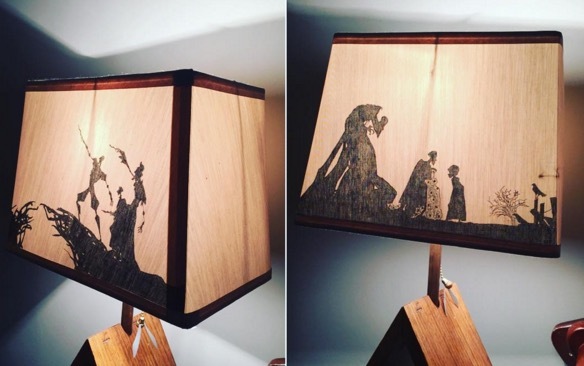 The scene featured on the lamp is from Harry Potter and the Deathly Hallows Part 1, and all we can say is: Must. Have. Now. Reddit user Eikcammailliw made it… with a Sharpie! “I used a hard wood for the base shapes and copper piping to run the wiring. Then the shade is just hand draw[n] using a sharpie,” Eikcammailliw said on Reddit. Sharpie! I can barely write out words neatly in Sharpie, let alone RECONSTRUCT A SCENE FROM HARRY POTTER. 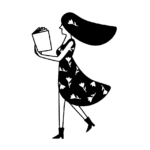 Eikcammailliw will take your requests and custom-make you one, too, even adding specific touches for you and the die-hard Harry Potter fans in your life. Whether you use it as a lampshade or artwork is your call. “ill create one for you. I can even wood burn something into the sides if you want…friend’s last name with an ‘Always’ to fit the theme?” Eikcammailliw said on Reddit. You can contact Eikcammailliw directly on Etsy, Facebook, or Instagram under @graindamaged or email him at gdwoodshoppe@gmail.com. Now, excuse us… we have some lamp-ordering to do!